I was talking to someone else in the class and got distracted, and nipped the tip of my thumb off. Ouch. Then I had to plane all the sides of the board to get the blood off. Sounds like it was sharp plane. A dull blade would have imparted a different feeling of pain (ask me I’ve done both). The upside, the tails pins look good. Tight and no gaps. Very sharp. I felt like a complete moron, especially since I somehow had nicked my _other_ thumb with a utility knife the day before. I was, literally, all thumbs last weekend. Which reminds me, tool report: They had nicely equipped benches at Port Townsend, but I didn’t care for the utility knives they provided for marking out the dovetails. They felt klunky. They also had the “Les Outils Cullen Tools” marking gauges. It’s a nicely made tool, and it leaves a reasonably crisp line, but the double bevel pin in it doesn’t leave a clear enough shoulder for paring. They do make one with a blade, which might be a better choice. I have the Glen-Drake, which I absolutely love, but I wish it had a wider fence. 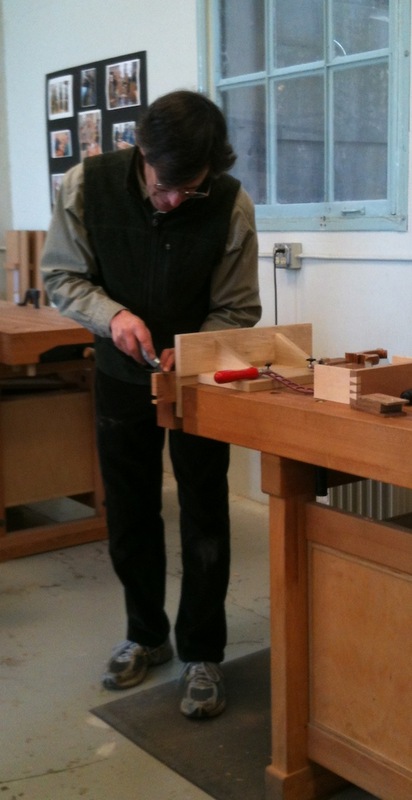 Thanks for posting about the Dovetail class and the great comments. Point taken about the utility knives. I’m hoping we can get some good striking knives to add to the benches. Hope the cut heals fast. My thumb is healed up already, my embarrassed pride will likely never recover. I would like to say that was the only bonehead move I’ve made in the shop. I’d like to say that, but it would be a complete falsehood of course. This week has been nutty at work, and my parents are visiting this weekend. I hope to sneak out to the shop later today and practice sawing to my layout line. Between sawing properly and more practice paring I should be able to do a decent job dovetailing whatever I do as my first project. Thanks for a great experience at the class! I enjoy your blog. 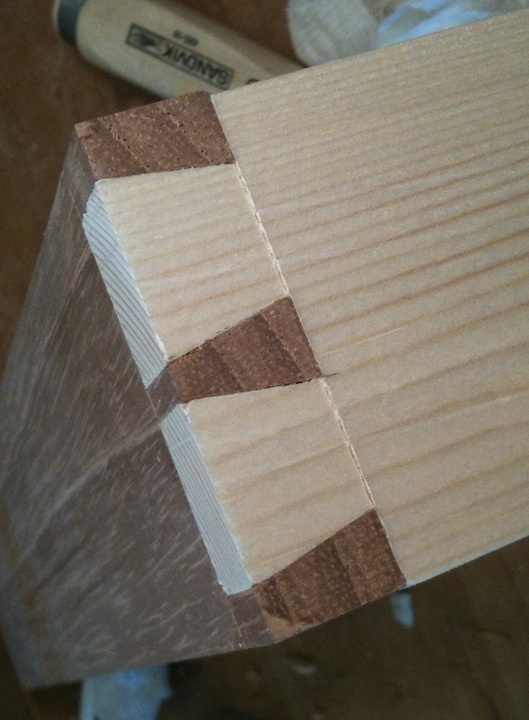 Nice job on the dovetails. I recently took a similar class with Roy Underhill. Yours came out better than mine.